This almost impossibly detailed picture is meticulously painted. And magnificent. The actual subject of the painting is in the foreground: the Roman nobleman Gaius Mucius has thrust his hand into a burning fire to avoid divulging the participants in a failed coup against the Etruscan king Porsena, who had besieged Rome. 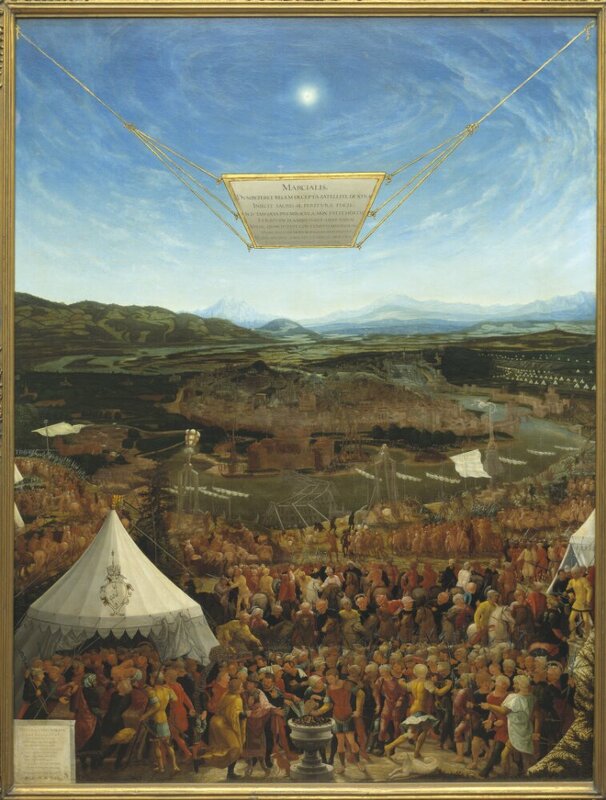 The painting is part of a series on famous classical battles, commissioned by William IV of Bavaria. Several of these works were taken as war bounty by Swedish troops in Munich in 1632.